ROM: Extraction is a fast-paced homage to the classic arcade shooter--with a VR twist. Engage in an epic takedown of extraterrestrial robots by combining your futuristic weapons with your ability to slow down time. Welcome to the year 2076, where you now have the power to slow down time--called "Reflex" power. You’re an Extractor, on a mission to extract valuable alien resources to bring back to Earth. Unfortunately, your ship has been overrun by extraterrestrial A.I., who are laser-focused on protecting these vital resources. By combining your futuristic weapons with your ability to slow down time, you’ll eliminate enemies like never before in this high-intensity arcade experience. Use the PS Aim or PS Move controllers to experience the one-to-one realism of wielding weapons against extraterrestrial A.I. in a not-so-distant future. Explore how you can bend the laws of time in the ROM universe--and take down enemies in epic explosions. Feel the intensity of VR gameplay set to a killer EDM soundtrack. Leaderboards let you see how you stack up against your local and global Extractors. Exclusive features developed for PS VR, including new weapons, enemies, levels, and gameplay modes. 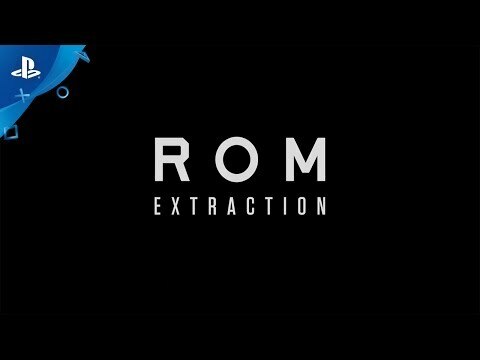 ROM: Extraction is a trademark of First Contact Entertainment Inc.